The revenues of the Russian holding company are projected to dive 1.5 per cent this year. 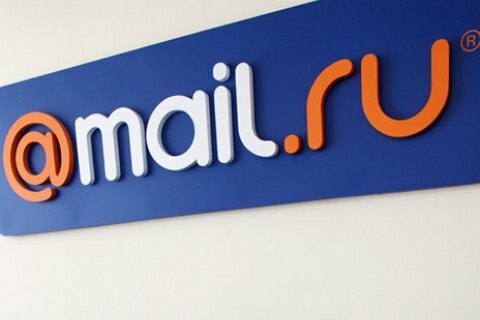 Because of the lockout of VKontakte, Odnoklassniki and other Mail.Ru Group services in Ukraine, the company's revenues in 2017 are projected to drop by 1.5 per cent, or about 790–809m rubles (just over 13m dollars), the company has said in its report for Q2. "The blocking of our products in Ukraine adversely impacted our Q2 revenues. We estimate a negative impact of 1.5 per cent of our annual revenues in 2017. Otherwise, our business performance remains very good," the industry publication Vc.ru quoted the company's management as saying. Earlier, Mail.Ru said that leaving the Ukrainian market would not affect the company's financial performance as Ukrainian business was neglectably small in the company's revenue structure. On 16 May, President Petro Poroshenko approved the decision of the National Security and Defence Council of Ukraine, expanding the list of Russian individuals and legal entities that fall under Ukrainian sanctions. The expanded list included 1,228 individuals and 468 legal entities, particularly Mail.ru and Yandex, and social networks VKontakte and Odnoklassniki, banned in Ukraine. According to TNS agency, the Russian social networks and Yandex fell out of the top 10 most popular websites in Ukraine after the lockout.